Here again, the overall results are generally neutral (Average = 3.33 where 4.00 = “Neither Agree nor Disagree”. 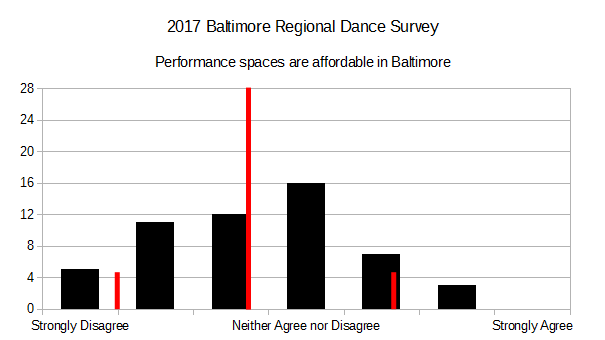 σ = 1.84), there is an immediate takeaway – out of 54 respondents (still a small sample), none of them Strongly Agree with the sentiment that performance space is readily available in Baltimore. Here again, the overall results are generally neutral (Average = 3.78 where 4.00 = “Neither Agree nor Disagree”. 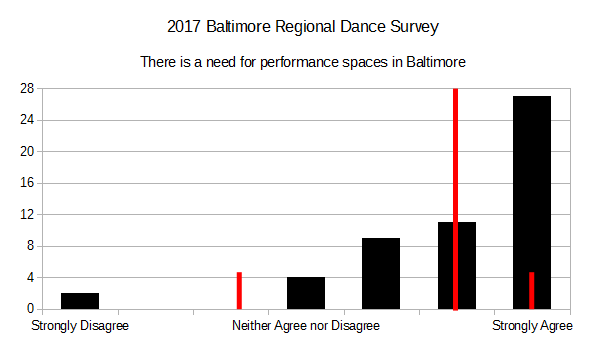 σ = 2.03), there is an immediate takeaway – out of 54 respondents (still a small sample), none of them Strongly Agree with the sentiment that performance space is readily available in Baltimore. 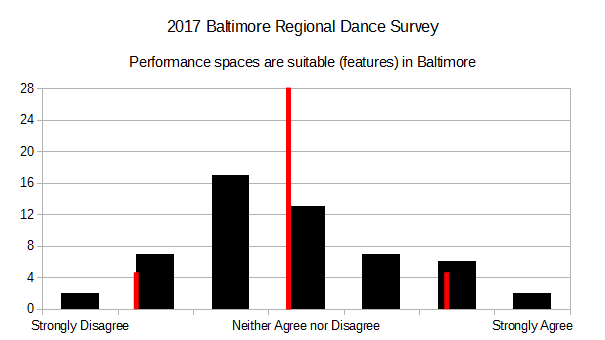 Always keeping the sample bias for this round of questions in mind (these are older, more experienced dancers) – there is a very strong message about performance space. 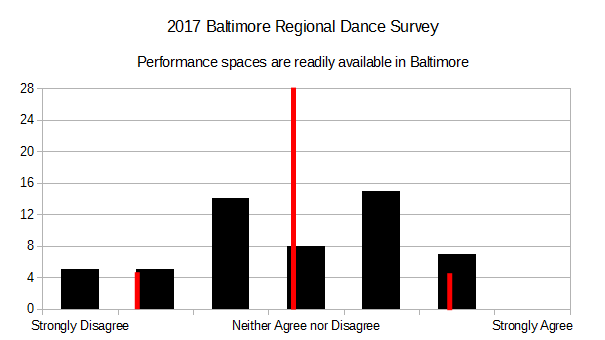 The dancers that [should] know think there is a need for performance space. Conveniently, we’ll explore that next.